A third contingent of Tonga Defence Services (TDS) has conducted a ceremonial handover to begin work alongside members of the RAF Police and the RAF Regiment to deliver force protection at Camp Bastion. 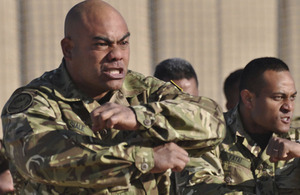 A traditional challenge called a Sipi Tau was issued to the replacement contingent by the Tongan soldiers who had just completed a six-month tour of duty at Camp Bastion. The second TDS contingent to support ISAF operations in Afghanistan, handed over their duties to the third contingent in Camp Bastion, where they will be based for the next six months. The parade, attended by VIP guests including the newly appointed commander of Joint Force Support (Afghanistan) Brigadier ‘Mitch’ Mitchell, attracted plenty of interest from personnel hoping to see the traditional Sipi Tau war dance of the South Pacific Islanders. Having travelled over 8,000 miles (12,875km) from an island of only 100,000 people to Helmand province, the TDS, who in total are only 600-strong, represent a formidable force, as the Sipi Tau demonstrated. The Sipi Tau is a challenge laid down by Tongan warriors. The outgoing unit will lay down the challenge to the new. The new contingent will reply with their own Sipi Tau to say they accept the challenge and will take up the responsibilities. 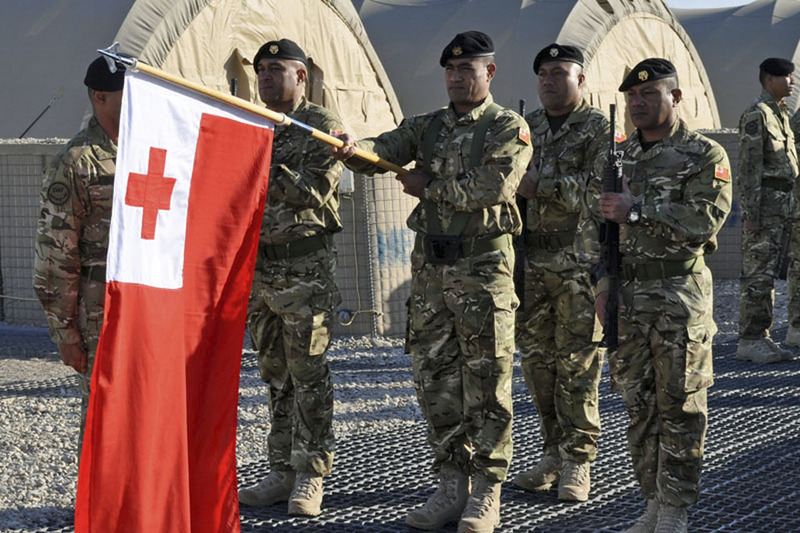 As is customary during such a parade there was an exchange of flags, and then more unusually prayers, which were sung perfectly by the Tongan troops who are well known at Camp Bastion for their sensational singing as well a fierce competitive spirit on the sports pitch. 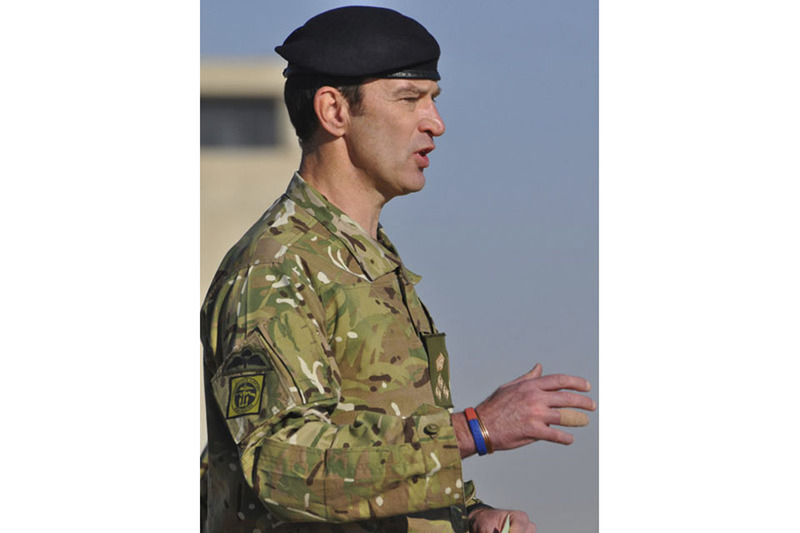 The new contingent’s role, serving alongside members of the RAF Police and RAF Regiment, is critical to ensuring the security of Camp Bastion’s main entry point, perimeter, and airfield. The deployment of fifty-five Tonga Defence Service Marines in Camp Bastion today is a real boost to our capability here. We are delighted the Tongans show such support for the ISAF effort. That the deployment represents approximately on third of their Armed Forces is illustrative of their commitment. I enjoyed meeting some of the troops today and was given a taste of their formidable spirit and identity when those returning home performed the Sipi Tau - a rousing spiritual dance. We look forward to working with the TDS and I wish them a safe tour.